The contributors represent both experienced researchers and practitioners and address topics such as research examining traditional and emerging Pasifika identities; contemporary research and practice in working with Pasifika youth and adolescents; culturally-appropriate approaches for working with Pasifika adults; and practices in supervision that have been developed by Maori and Pasifika practitioners. He has edited two previous books on Pasifika mental health and with Margaret Agee he is co-editor of the New Zealand Journal of Counselling. Be it their own encounters, struggles, or challenges with identity, death and dying, or their familiar experience with mental health. It opens with a chapter by Melinda Webber on behaviours, perceptions and challenges of adolescents in a multi-ethnic urban context, which offers some pertinent insights into the cultural encounters and self-perceptions of young people who face complicated choices that affect their socio-cultural and psychological development in an ethnically diverse society. Poems by Serie Barford, Selina Tusitala Marsh and Tracey Tawhia introduce each section. Much of the content reflects both differences from and relationships with the dominant Western theories and practices so often unsuccessfully applied with these groups. The contributors represent both experienced researchers and practitioners and address topics such as research examining traditional and emerging Pasifika identities; contemporary research and practice in working with Pasifika youth and adolescents; culturally-appropriate approaches for working with Pasifika adults; and practices in supervision that have been developed by Maori and Pasifika practitioners. Issues that are close to home yet are otherwise not openly addressed or talked about and are considered taboo in a Pacific Island or Māori context. 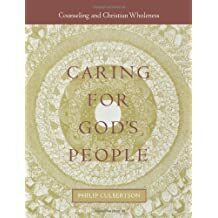 Philip Culbertson, PhD, is an adjunct lecturer in Theology at The University of Auckland, New Zealand, and an adjunct lecturer in Philosophy at The College of the Desert, Palm Desert, California. Toon van Meijl Radboud University Nijmegen, Nijmegen, the Netherlands pp. Filling a significant gap in the crosscultural and cross-disciplinary literature within the field of Pasifika Polynesian and Maori identities and mental health, this volume focuses on bridging mental health-related research and practice within the indigenous communities of the South Pacific. This book aims at providing the necessary resources for intercultural counseling and to expand the growing corpus of literature that specifically covers mental health issues among populations that are indigenous to the South Pacific region. Contributors include a wide range of writers, most of who are Maori or Pasifika. She lectures in the Sociology Department of the University of Auckland. As a Pacific Islander, I am comforted that such an ula exists. She lectures in the Sociology Department of the University of Auckland. This population is one of the fastest growing minority groups in the U.
Tracey McIntosh Tuhoe is a sociologist whose interests broadly look at processes of exclusion and marginalisation, with a more recent focus on the experience of incarceration. Pleas are made for counselor education, in which greater emphasis is placed on cultural imagery and meanings, one of which concerns the different meaning of death in Pacific worldviews. Tracey McIntosh, PhD, is a senior lecturer in the Department of Sociology at The University of Auckland, New Zealand. Going home to the village. That these questions are being asked and that the investigated answers are delivered with fierce scholarship and personal testaments by some of the Pacific's most gifted, accomplished, and most intellectually engaged minds in the field. In this context, it is important that they develop a strong and positive cultural identity, which provides them with an extensive repertoire to negotiate difficult situations in which they are faced with socio-cultural diversity, unfair treatment or even negative stereotypes. As Pasifika populations expand, so do the issues generated by colonisation, intermarriage, assimilation, socioeconomic insecurity and international migration. Several traditional stories, myths and poems are reinterpreted in order to identify timeless truths about cultural well-being, intercultural programs are demonstrated to be required at multicultural high schools, the unadulterated voice of the mentally ill is advocated to be taken seriously, while, finally, a Pacific psychotherapist and counselor cogently argues that spirituality is an important source of inspiration in all aspects of life for all Pacific peoples. The final part offers various reflections on therapeutic practices. Over the past 30 years, integrative and holistic approaches may have been developed, but these, too, are chiefly framed within a cultural perspective that does not match with the socio-cultural background of Pasifika and Māori. As Pasifika cultures are still primarily oral cultures, the works of several leading Maori and Pasifika poets that give voice to the changing identities and contemporary challenges within Pacific communities are also included. I highly recommend this book as a must-read for Pacific Islanders, not only in New Zealand but also in communities throughout the Pacific diaspora. What impressed me with this book was the courageous ability of its authors to weave themselves and their personal experiences into the very fabric of the questions they address. Contributors include a wide range of writers, most of who are Maori or Pasifika. It provides an overview of the status of cardiov. 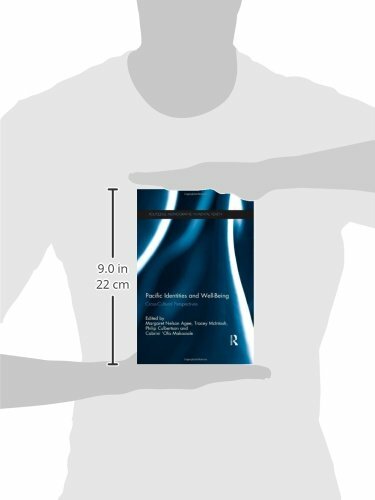 Researchers, practitioners and the poets talents are combined over 360 pages to provide a myriad of perspectives of mental well-being that give the reader a master class in the cross over of mental health and cultural awareness that would otherwise be very tricky to obtain and begin to comprehend. Cabrini 'Ofa Makasiale is a Catholic sister living in community with three other sisters. As Pasifika populations expand, so do the issues generated by colonisation, intermarriage, assimilation, socioeconomic insecurity and international migration. At present, Pasifika constitute 7 percent of the population, while the indigenous Māori people form around 15 percent. Chapters include practice scenarios, research reports, analyses of topical issues, and discussions about the appropriateness of applying Western theory in other cultural contexts. For a variety of reasons, however, many Pasifika and Māori are not successful in negotiating and shifting their identities between ethnic and mainstream circumstances. The Maori and Pasifika poems are a perfect accompaniment to the poignant essays. Their socio-cultural and psychological development is not infrequently hampered by the discrepancy between cultural contexts that are crucial in their lives, which often entails school problems, anxiety, loneliness, anger, depression and violence. To buy this book at the lowest price,. This is essential reading for professionals, scholars, and lay audiences seeking to understand better the complex cultural tapestry and way of life of the many different people who inhabit the vast area of the Pacific Ocean and its countless islands. As a corollary, a disproportionate number of Pasifika and Māori are diagnosed with mental health problems. New York; London: Routledge, 2013. Poems by Serie Barford, Selina Tusitala Marsh and Tracey Tawhiao introduce each section. The book is divided into four parts: Identity, Therapeutic Practice, Death and Dying, Reflexive Practice. Much of the content reflects differences from and relationships with the dominant Western theories and practices so often unsuccessfully applied with these groups. A necklace of flowers made up of seventeen powerful essays and interviews, interspersed and colored by sagacious, poignant and heartfelt poetry, with an epilogue in true Pacific style on Comic Belief, or Why Pacific People Laugh Loudly. The stresses of adolescence, identity, families, death and spirituality are all explored here in innovative research that offers a wealth of inspiration and ideas to supportive family, friends and practitioners. Poems by Serie Barford, Selina Tusitala Marsh and Tracey Tawhiao introduce each section.